This is my first post for the Secret Recipe Club! 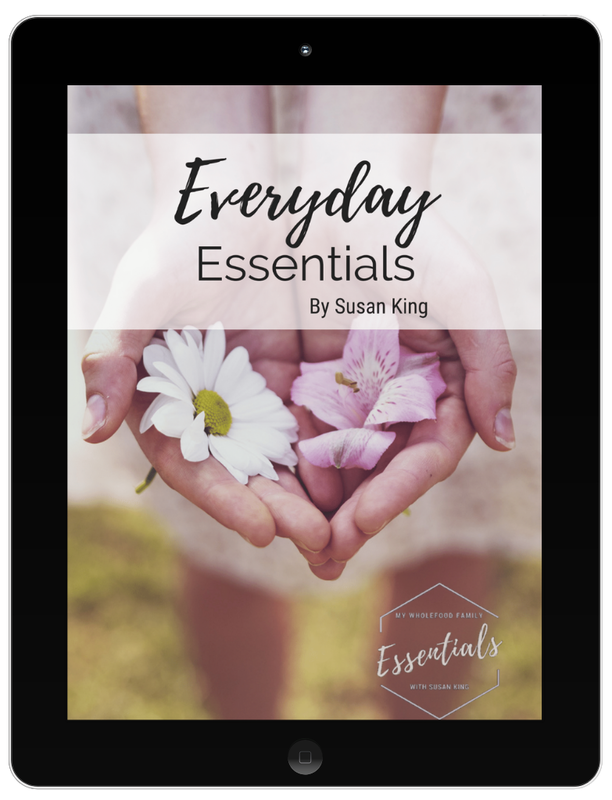 I was given a really interesting blog called Enriching Your Kid written by mum Shirley to chronicle the recipes she makes for her family. The recipes all have a strong Indian vibe and given we love Indian food in this house it was a really tough choice picking just one. So I went with 2 instead! First up was a creamy Chicken Tikka Masala with a twist, that twist being that it contains cheese! A little research showed this is actually not uncommon. I love cheese but would never have thought to use it in a curry. I did make a few changes to the recipe, firstly using chicken thighs instead of breast for extra flavour and also to ensure it stayed moist as we were cooking on the BBQ. Secondly, I used the remainder of the marinade in the sauce so as not to waste all those delicious flavours and to make the sauce really creamy. There were a few measures missing from the original recipe, for example the amount of lemon juice needed so I have just included what I used. I also doubled the recipe and that's what you will see below. You could easily halve it. The second recipe I chose was the Garlic Chive and Mozzarella Parathas. While we do make curries pretty often I have never really made Indian breads and this one looked too good to pass up. It didn't disappoint. We all LOVED this bread! The chicken and parathas made a fabulous dinner. The Chicken Tikka Masala has a lovely warmth from the spices (no chillies) so it is the perfect curry for kids. My 2 year wasn't keen (but he's going through a VERY picky stage) but he did love the bread. My almost 4 year old loved both and wanted seconds. So that's a pretty big tick of approval. There were lots of other great recipes for choose from so make sure you check out Shirley's blog! Cut each chicken thigh in half, add marinade ingredients and mix thoroughly. Place in the fridge for at least 1 hour or overnight. In a large bowl, mix together the first 5 ingredients the cheese dissolves and becomes a fine paste. Add the cardamom and pepper and mix well. Add the marinated chicken pieces and mix until the chicken is well coated. Set aside in the fridge for 2 hours. Remove the chicken from the marinade, scraping off any excess. Reserve the leftover marinade to use in the sauce. Drizzle oil over the pieces, sprinkle with salt to taste and cook on a hot grill, turning often until golden brown and cooked through, approx 10 minutes. Blitz the onion and tomato in a blender until smooth. Heat oil in a large frying pan, add the cumin seeds and cook for a few minutes until fragrant. Add the onion and tomato mixture along with the remaining marinade and mix well. Bring to the boil then cover, reduce the heat to low and simmer for around 15 minutes. Season to taste. Toss through the cooked chicken pieces and coriander and serve with parathas. In a food processor blend the ginger and garlic to form a smooth paste, adding a little cold water or oil if necessary. Store in the fridge for up to 2 weeks in a glass container. Makes approximately 100ml. Mix all the ingredients in a large bowl and add enough water to create a dough. Leave to rest for 30 minutes. Divide the dough into 8 equal portions and roll each portion out into a round, approx 15 cm across. Brush each side with oil and fry in a hot pan on both sides until crisp and golden brown. Serve hot. I just recently tried curry for the first time, so I will definitely have to try this recipe. It sounds fantastic - and looks even better! Welcome to Group D - happy reveal day! P.S. I added your post to the hop. Hi Sarah, it's definitely worth a go! Thanks for adding my link too, the reveal time is 3am here in Australia! You've done such a fantastic job, with not one but both recipes! 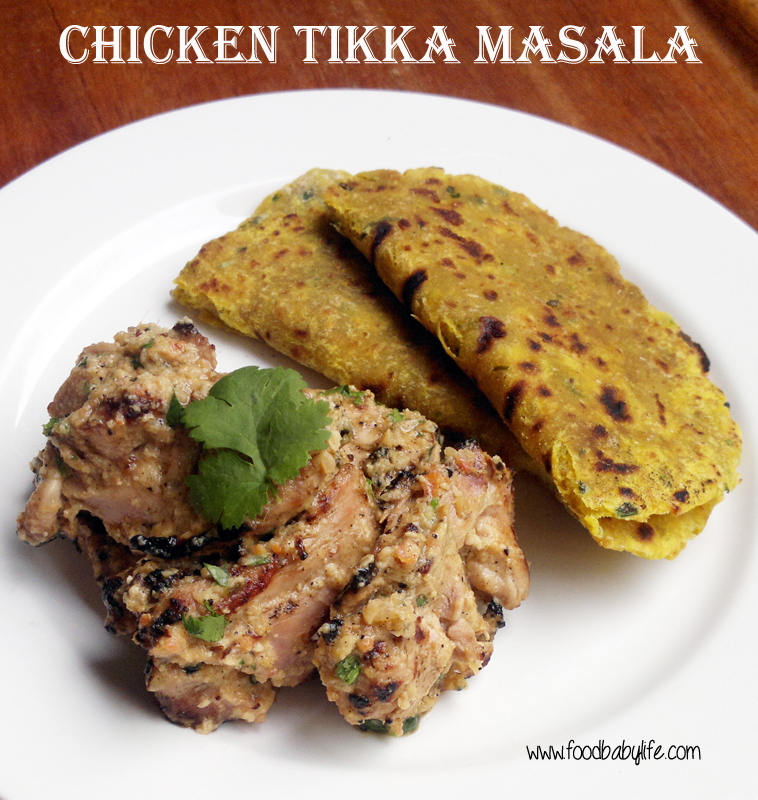 The ckicken tikka looks so desirable and the paratha seems spot on! Thanks Shirley! I had a lot of fun with both of your recipes. Welcome to SRC! These recipes sound delicious! I love chicken tikka, but I've never had it with cheese. I'll have to give this a try! Thanks Melissa! The cheese had me intrigued too. Welcome to SRC--you will meet some great bloggers. I enjoyed getting to know you this month! Yum! sounds good! Looks yummy too. Welcome to the club. What a delicious-sounding meal! I love chicken tikka and this spin on it is intriguing. And your parathas turned out gorgeous! I tried a similar chicken recipe awhile back. For some reason I thought it would be spicy, but it turned out deliciously mild. You did great on your first SRC post!